Mandarin collars are a design staple with an Asian influence. Mandarin collars are stand-up or band collars that can add a completely different look to your outfits. 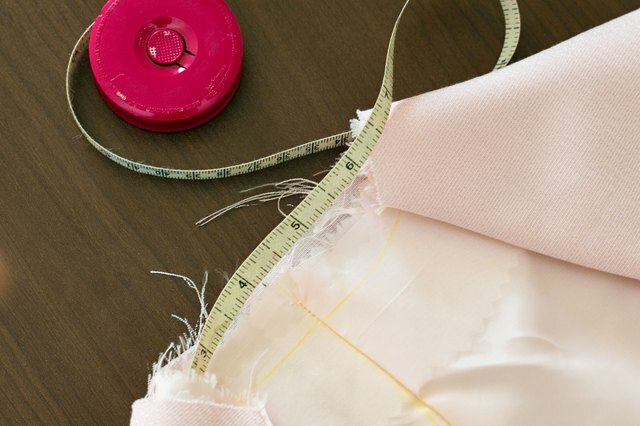 Sew a Mandarin collar to shirts, jackets or dresses. Make your Mandarin collar using fabric and lightweight interfacing. Create a whole new look and add a touch of style to your wardrobe by adding a Mandarin collar to your clothing. Measure the neckline opening of your article of clothing. This will be the length of your Mandarin collar. Mark a piece of newspaper the length of the neckline opening. Add 1 inch for the seam allowance. Decide how high you would like your Mandarin collar; these collars are usually 1 to 4 inches high. Mark the height of the collar on the newspaper. Add 1 inch for the seam allowance. 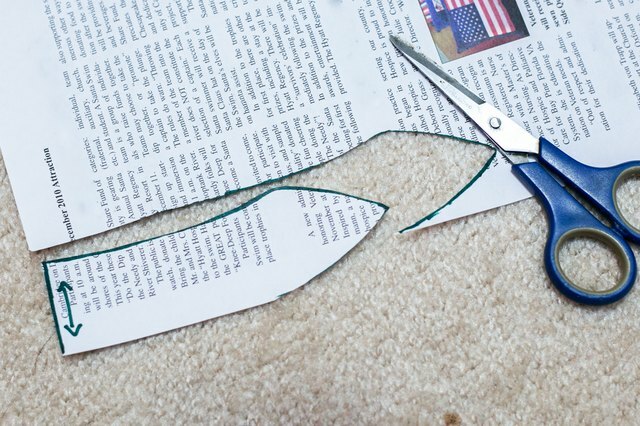 Cut out the newspaper pattern. 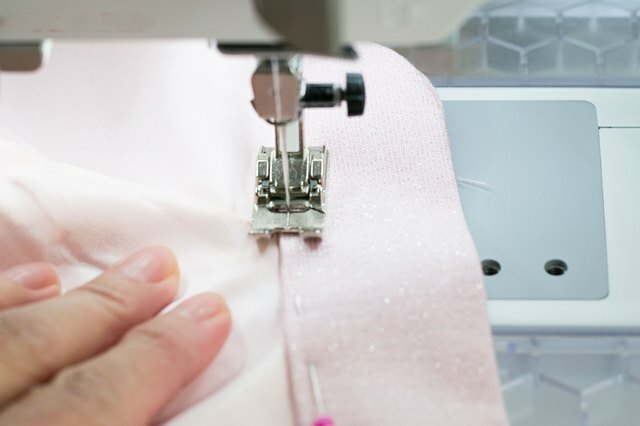 Place your collar fabric on your work surface, right sides in. 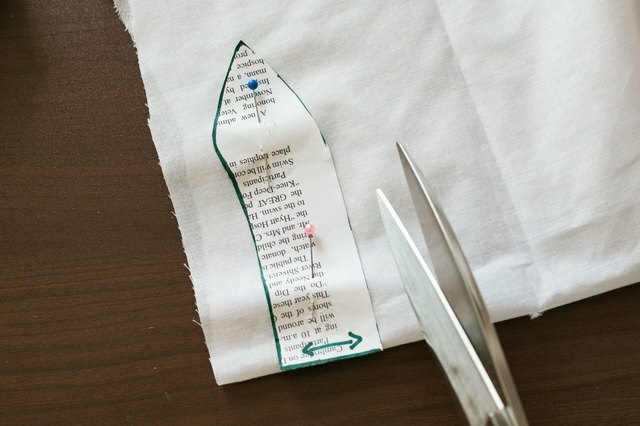 Pin the newspaper pattern to the fabric. Cut out two pieces of Mandarin collar fabric. 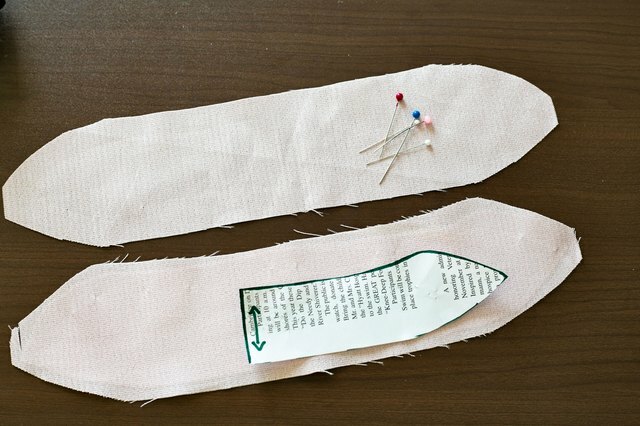 Remove the pins and set the fabric aside. 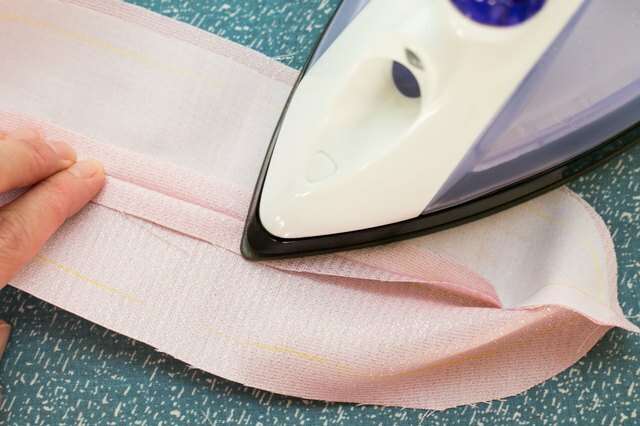 Place the lightweight interfacing on your work surface. 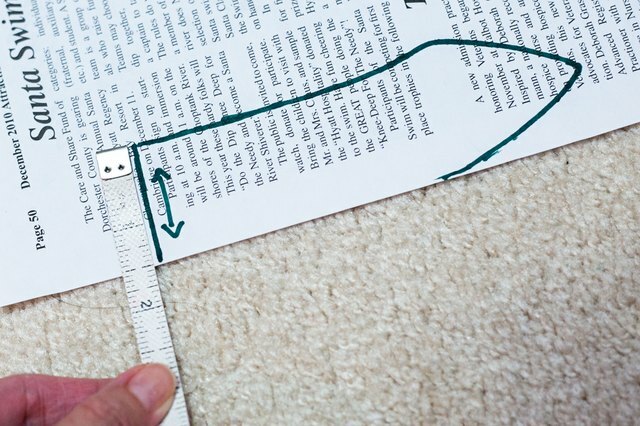 Pin the newspaper pattern to the interfacing. Cut out one piece of interfacing. Place the two pieces of Mandarin collar fabric on your work surface, right sides facing in. 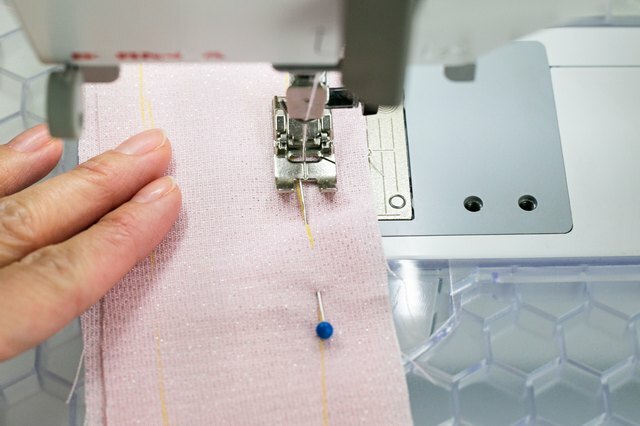 Place the lightweight interfacing on top of the wrong side of the fabric. Pin the layers together, matching the raw edges. Sew the sides and top of your Mandarin collar, using a 1/2 inch seam allowance. Trim the top corners of the Mandarin collar to a 1/4 inch inseam. 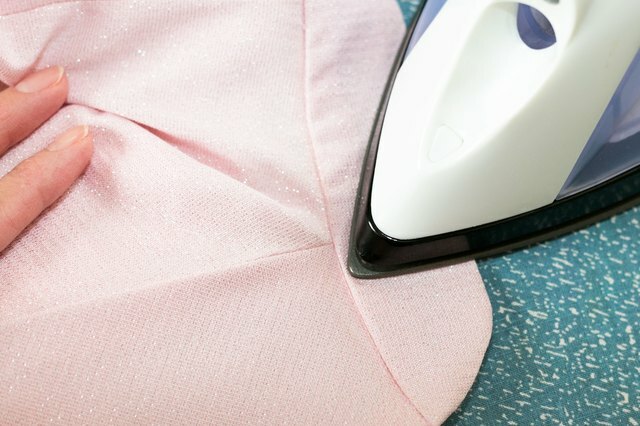 This will remove bulkiness in the corners of the collar. Turn the collar right side out. 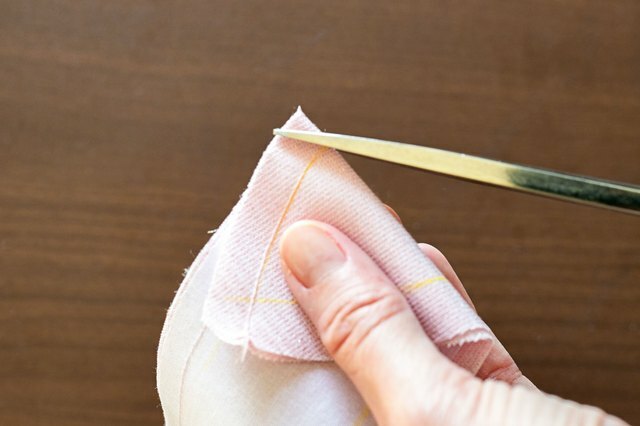 Use the end of your scissors to push the top corners of the collar all the way out. Smooth the mandarin collar flat. Iron the seams, matching the raw edges of the bottom of the collar. Pin the Mandarin collar to the right side of your article of clothing. Start at one end of the neckline opening and pin both layers of the collar fabric all the way around the neckline opening. Match the raw edges of the collar with the raw edge of the neckline opening. The collar should be the same length as the neckline opening. Sew the Mandarin collar to the neckline opening, using a 1/2 inch seam allowance. Try on the clothing and check for fit. 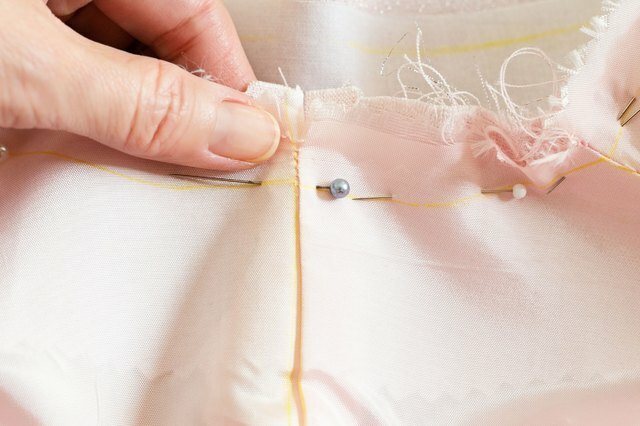 Trim the Mandarin collar seam to 1/4 inch, to remove bulkiness. Iron the seam where the collar attaches to the clothing. Pressing will create a smooth finish to the seam and help the collar stand up. Try a contrasting piece of fabric for your Mandarin collar. Mandarin collars can be added to dresses or shirts that close in the back. Pin the opening of the Mandarin collar to the back of the clothing and sew into place. Add a curve to your Mandarin collar. Curve the top corners of each end and sew. 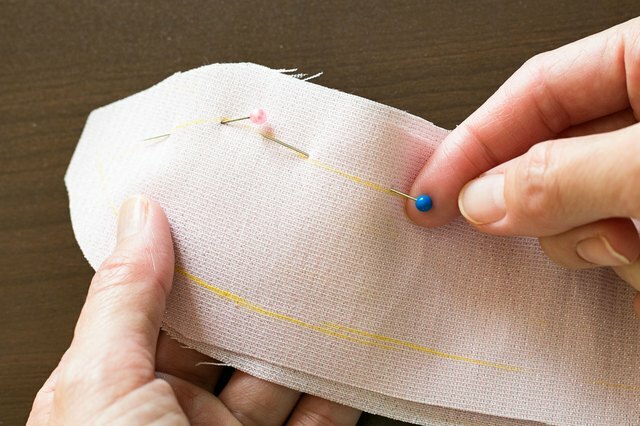 Remove pins as you sew. The pins can break the sewing machine needle. Be careful with the pins while checking for fit. Using safety pins is an option. Based in Florida, Bren Hahn has been writing technology and library grants, program descriptions, blogs and lifestyle articles since 1990. 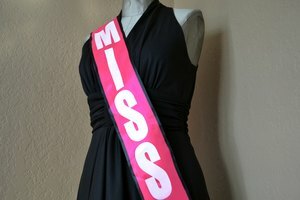 She holds a Bachelor of Science in technical education and industry training from the University of Central Florida and certifications in business and media education.